Male Fallow deer have multipoint antlers measuring 50 to 70 centimetres. These are shed in April ready for new ones to grow in August. Habitat: Fallow deer live in a variety of different climates ranging from cool and humid to warm and dry areas. They like to live in areas with a variety of habitats including forests and grassland areas. Population: The most common species of deer in the UK. 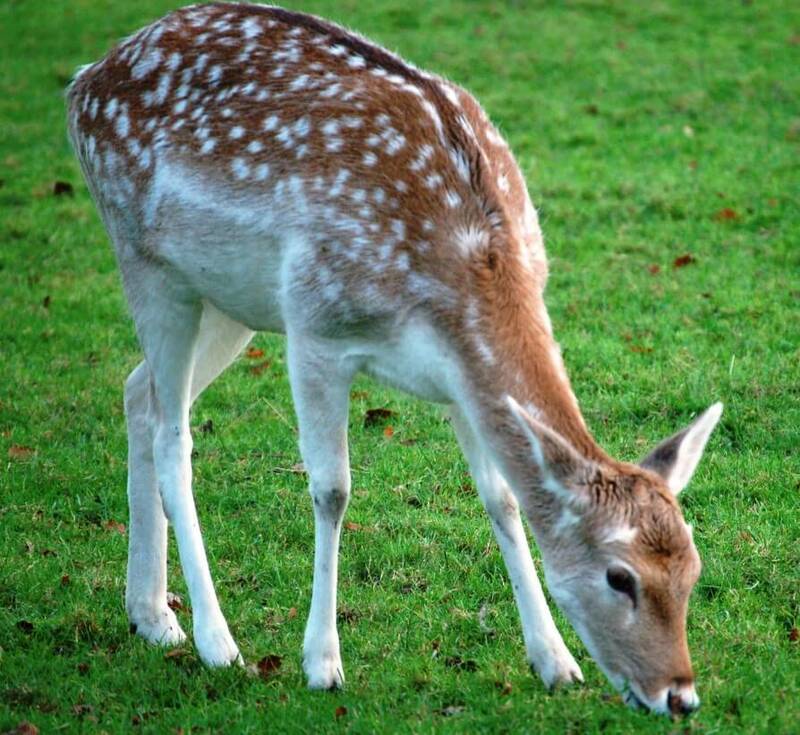 Lifespan: Fallow deer live approximately 20 to 25 years. Diet: Fallow deer eat a variety of vegetation and are usually found eating at dawn and dusk and at occasional intervals during the day. They are known to eat, amongst other things, grasses, leaves, buds, shoots and bark. Behaviour: Females, fawns and juveniles usually live in groups of between 7 and 14. Male Fallow deer are normally solitary animals, however in early autumn they will begin to form small bachelor groups before joining a group of females.